Welcome to the research pages of Dr. Leif Richardson. 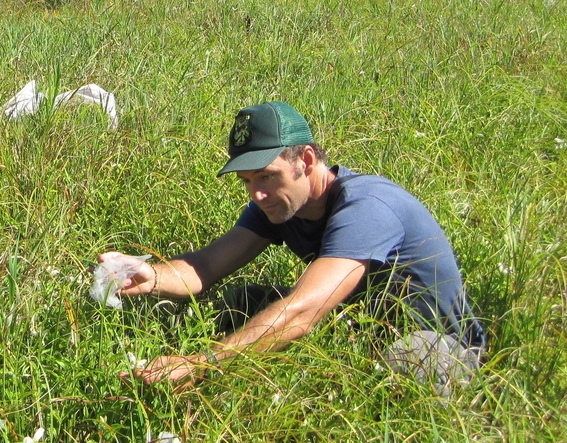 I'm an ecological consultant at Stone Environmental, and a USDA National Institute of Food and Agriculture postdoctoral research associate in the lab of Dr. Taylor Ricketts at the University of Vermont. I was previously a graduate student at Dartmouth College in the lab of Dr. Rebecca Irwin, and served as State Lands Ecologist with the Vermont Agency of Natural Resources. My work focuses on interactions among species, in particular those involving bees, their parasites, and the plants they pollinate. I also study agricultural pollination, effects of pesticides on bee pollinators, and the causes and consequences of bee species declines.